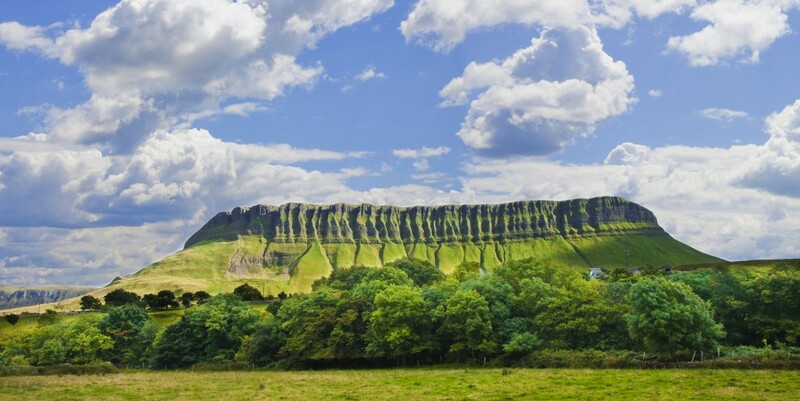 The island of Ireland is undoubtedly home to some of the most pristine landscapes and the friendliest people you can encounter on your travels. And what better way to soak up the rich culture inherent within the stunning land, than through a good old-fashioned road trip. Most holidaymakers will start in Dublin, which is conveniently one of the cheapest European capitals to fly into. Utilising Dublin as a launchpad, we map out a 12-day road trip packed with all of Ireland’s gems. In Dublin, visitors can experience both the liveliness and intimacy of the city, and the fusion of local cuisine, vibrant music, and friendly people. 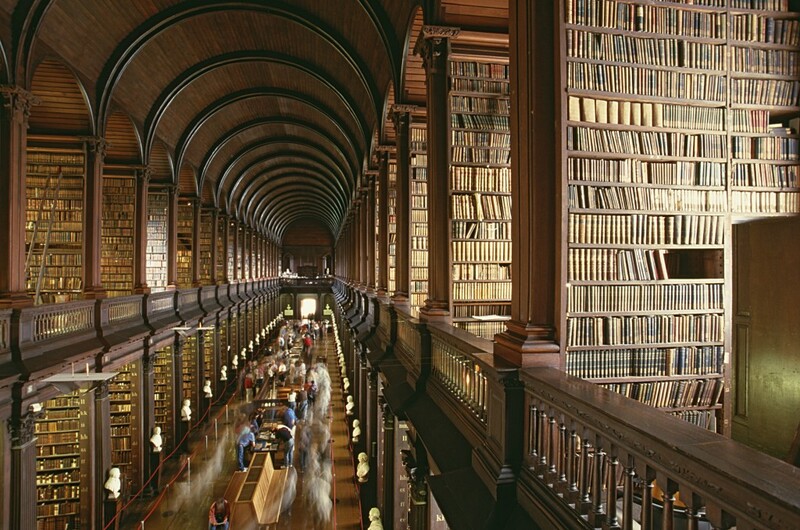 From Dublin, travellers can drive an hour southbound into the majesty of Ireland’s Ancient East. Arriving in Wicklow, the historic 18th century Powerscourt Estate is a must-see. Set amongst 47 acres of stunning gardens, it was voted the third best in the world by National Geographic, and exudes the serenity inherent in this town. The Kilkenny Castle is a place for visitors to admire the architectural brilliance of the structure, and the surrounding River Nore. Kilkenny is also home to the ecclesiastical site of St Canice’s Cathedral, a site founded in the sixth century. St Canice’s Round Tower is the oldest standing structure in Kilkenny City, also offering tourists the opportunity to climb the tower to capture panoramic views. Waterford is famously a Viking city, founded in 914 AD, and offers an immersive experience into the world of the Vikings. In particular, the 12th century Reginald’s Tower is home to weapons from a Viking grave and the Waterford kite brooch. Then drive through the Copper Coast and arrive in Cobh around two hours later, making sure to visit the infamous departure point of the Titanic. 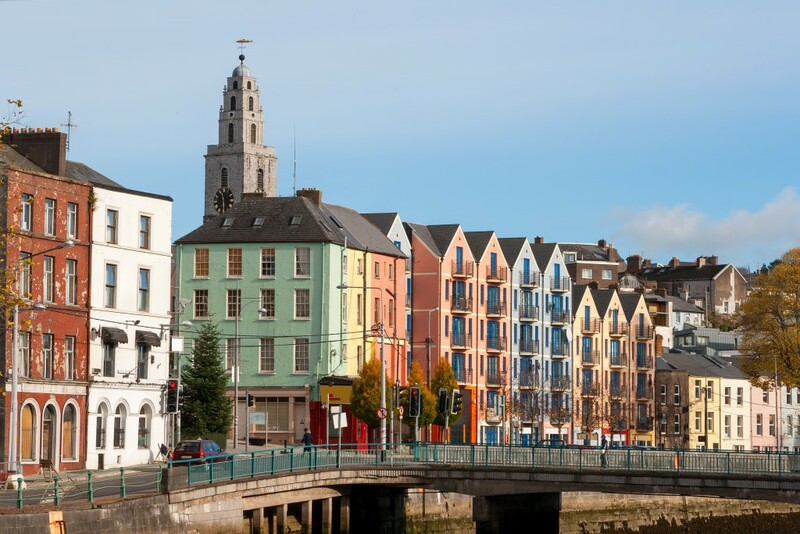 This compact yet lively city of Cork can be easily conquered by foot. The 19th-century history and classical architecture of Cork City Gaol, or the Triskel Arts Centre, are the perfect stops. 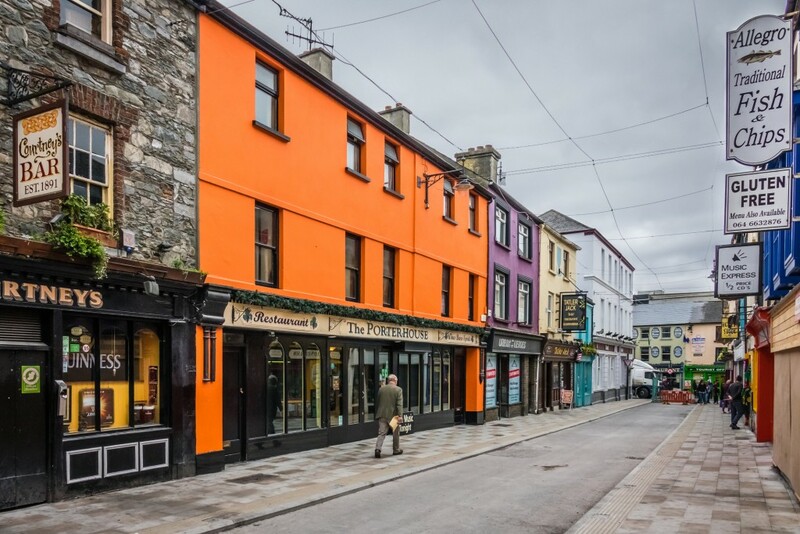 Kinsale is located at the start of the Wild Atlantic Way, a journey of soaring cliffs and buzzing cities, and is well-known as a medieval fishing port. Then situated at the foot of the MacGillycuddy’s Reeks, the highest mountain range in Ireland, is the city of Killarney. Its renowned festivals, culinary delights and traditional music scene will round out the day. Following the famous Loop Head Peninsula Drive, visitors can revel in the views which extend out to the Blasket Islands in Kerry, and possibly spot dolphins, whales and seals. 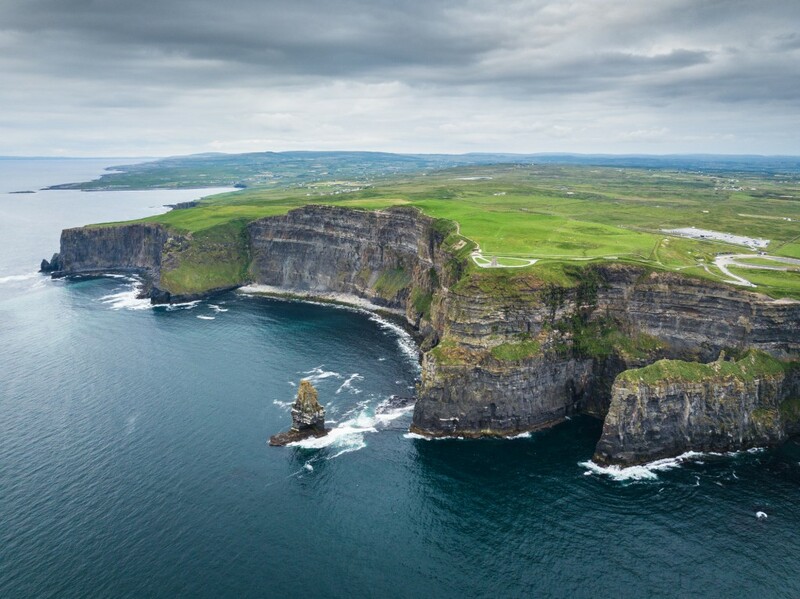 Continue on to the Cliffs of Moher, which stretch more than 8km along County Clare’s coastline, and are a hub for colourful bird life. 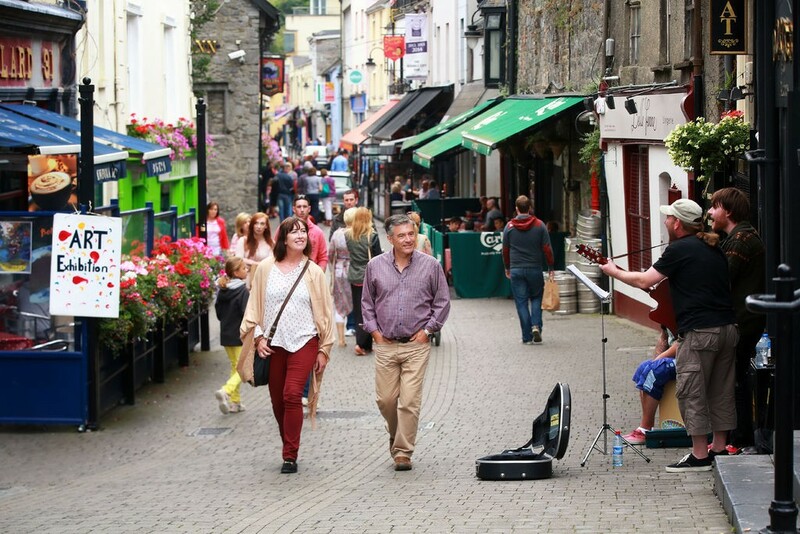 Then finish the day at the heart of the Wild Atlantic Way, a bohemian oasis on Ireland’s west coast, Galway city. Travellers can head from Galway to County Mayo, a town where scenery ranges from verdant to desertlike. A visit to otherworldly Achill Island at the western tip of Mayo is an unmissable spot. In particular, Keem Bay Beach, one of Achill’s most remote Blue Flag beaches, is the the perfect cove to spend the day. 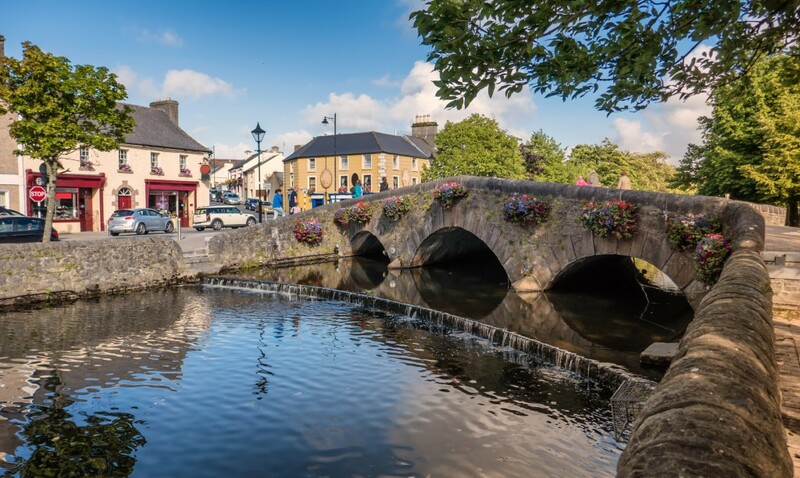 Starting in Sligo, offering a dramatic backdrop of Benbulben, travellers can continue on to the County Donegal town of Bundoran, home to Classiebawn Castle and Drumcliffe Church. Donegal is also considered a world-class surf town, regarded by surfers as one of the world’s major big wave locations. 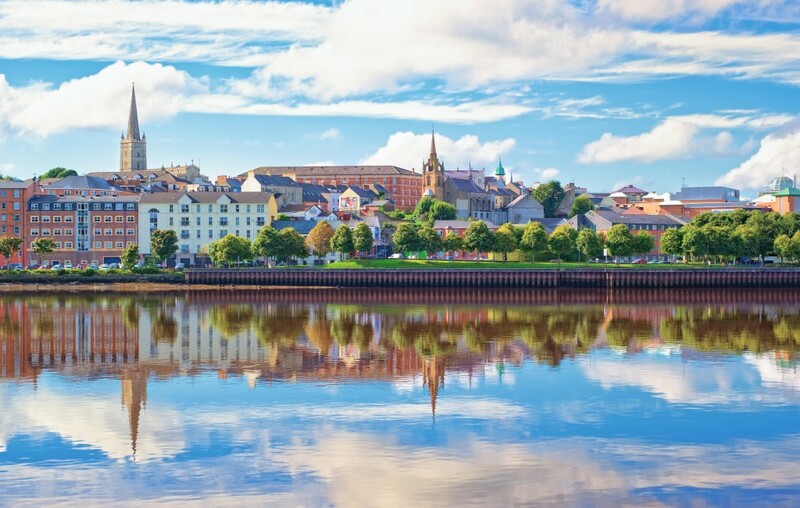 Connecting the Wild Atlantic Way and the Causeway Coastal Route is Derry, a walled city that was built in the 17th century for defence. Heading along the Causeway Coastal Route, which together with Belfast was declared best in travel region 2018 by Lonely Planet, is a main attraction in itself. Travellers can then take a ferry to Raithlin Island, a remote frontier with fascinating shipwrecks and a rugged landscape. 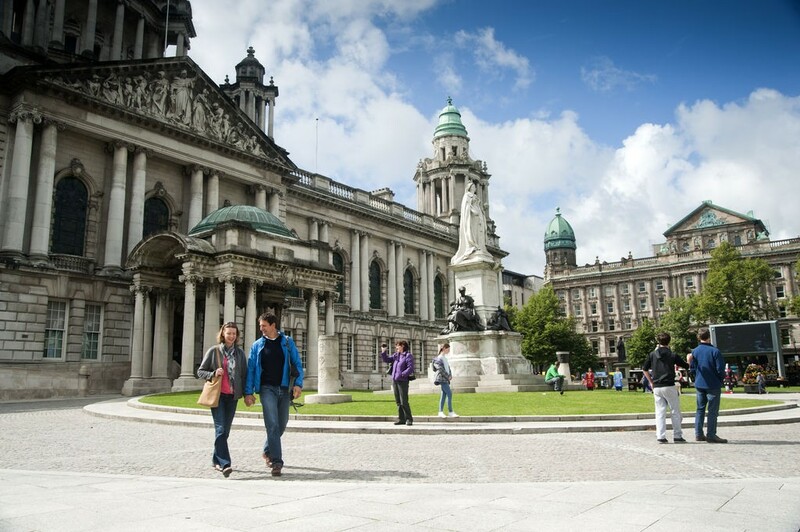 Belfast is an energetic hub of history, with the interactive Titanic Belfast museum a renowned attraction. The city also has an intriguing nightlife with an array of historical-style pubs. In Newcastle, travellers can absorb stunning scenery and visit key locations in the Game of Thrones series, like the Haunted Forest and Winterfell. 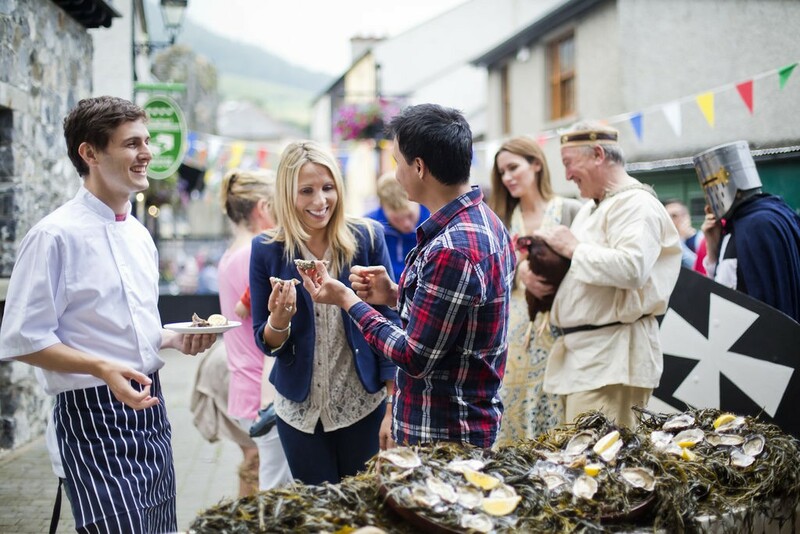 Back in Ireland’s Ancient East, a trip to medieval Carlingford will showcase its buzzing pubs, restaurants and boutiques. 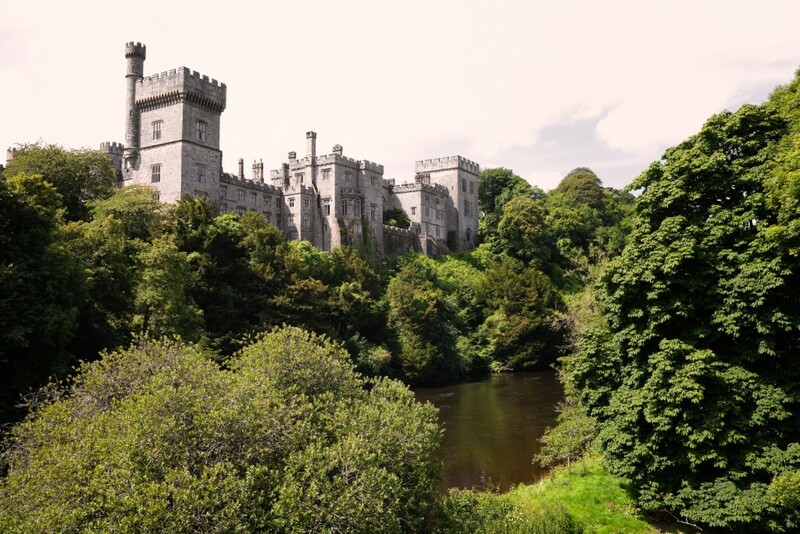 Passing through Boyne Valley and heading to County Meath, this ancient centre of Irish politics will captivate visitors with everything from castles to gin-making. A pit stop to horse around County Kildare and check out the Kildare Round Tower and Saint Brigid’s Cathedral and Graveyard, will perfectly wrap up the trip. 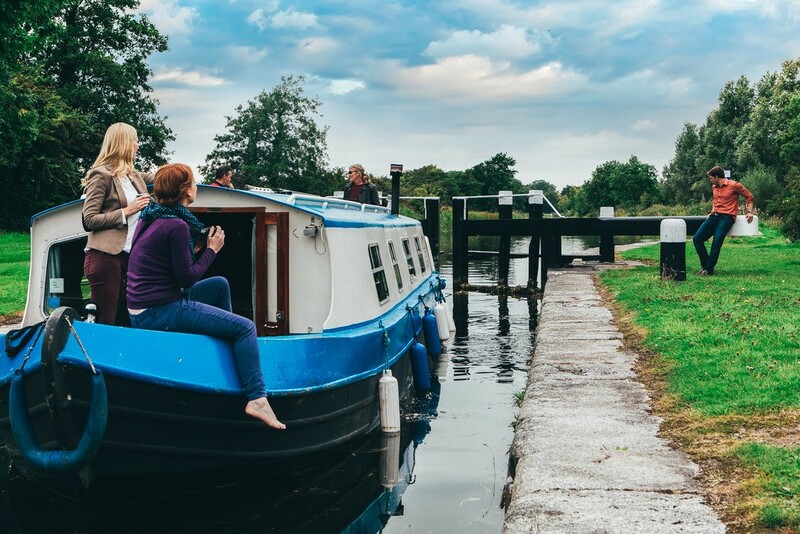 In under an hour from Kildare, travellers will return full circle to Dublin. And the best part about Ireland is that you don’t need to do one big road trip to finish where you started. The island can easily be broken up into smaller road trips that suit all visitors. 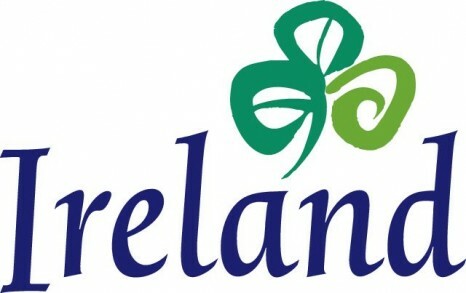 More importantly, wherever travellers choose to go in Ireland, they are guaranteed a warm welcome along the way.